Dozens of Cadbury treats are sold throughout Great Britain, but for the past 13 years, the Cadbury Dairy Milk Tiffin hasn't been one of them. Now, Mashable reports that the classic candy bar will be making a comeback for a limited time this summer. First introduced by the UK candy brand in 1937, the bar was inspired by the British "fridge cake" known as Tiffin. The milk chocolate candy confection contains dried fruit and crushed biscuit pieces like the original homemade treat, and according to a statement from Cadbury's parent company, it was "a huge success with consumers." Despite its devoted fanbase, the Tiffin bar has had a rocky history. Its production was put on hold between 1972 and 1985 before being officially limited to Irish markets in 2003. In the time since, Tiffin fans outside of Ireland have reportedly been lamenting its disappearance all over social media (and presumably IRL). In response to online pleas to bring it back, Cadbury officially announced they'll be resurrecting the retro bar this summer. 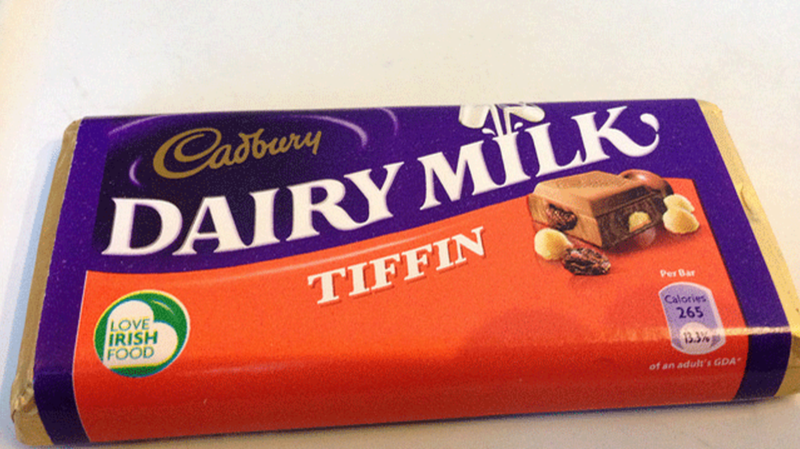 The Cadbury Dairy Milk Tiffin will be available across the UK for £1.49 ($2.14) a bar starting June 1. But with only 3 million of the products hitting the shelves, nostalgic foodies should plan to act fast.